The Maasai communities have adopted a revitalised, multifaceted approach to preserve their culture in the face of several waves of change. 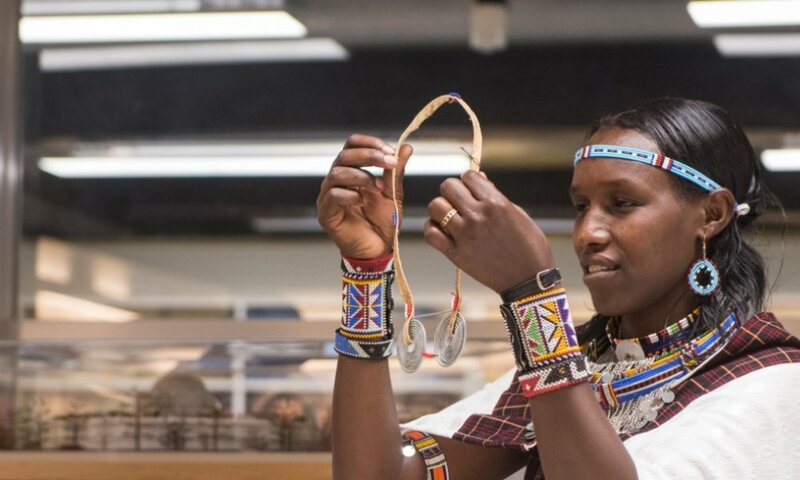 At an event in London on Wednesday night (28 November 2018), five representatives from the Maasai told an audience at The Building Centre that they aim to create an educational centre, a women’s empowerment initiative which concentrates on beadwork and to continue with a participatory video project to digitally preserve their traditions and ensure their living culture is protected. 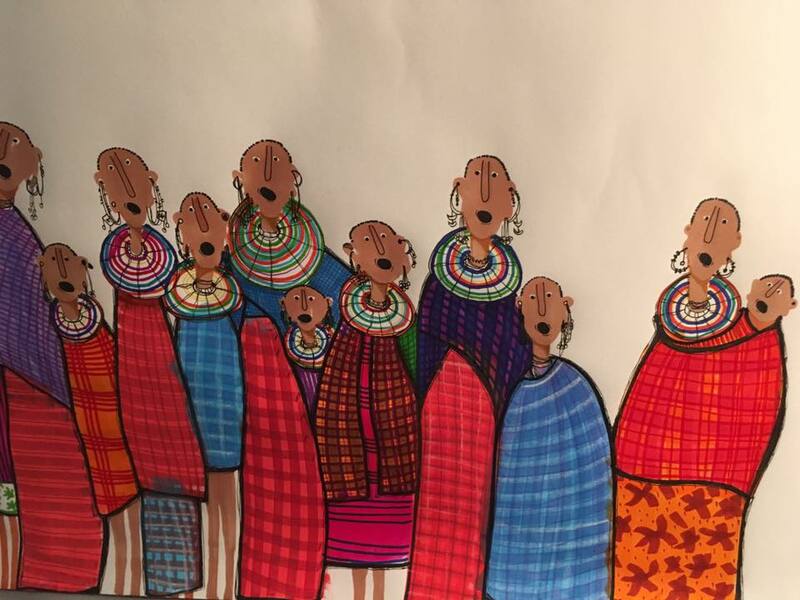 At the heart of the urgency for work to be done in this area is the acknowledgment of the Maasai as a contemporary culture, which exists today. 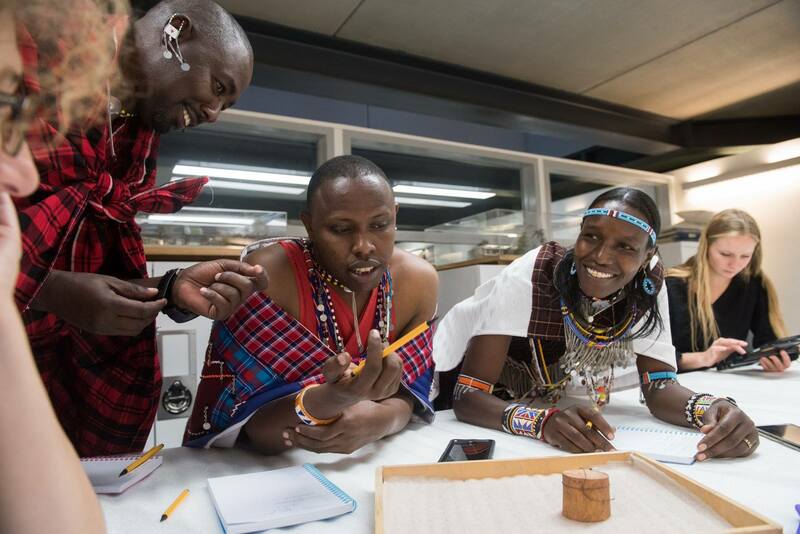 Samwel Nangiria, a Maasai activist and director of NGO-Net cautioned against confusing the Maasai with a tourist novelty or using them as marketing material, as is often the case. Masaai group in Pitt River Museum. Image by John Cairns, via Insightshare. 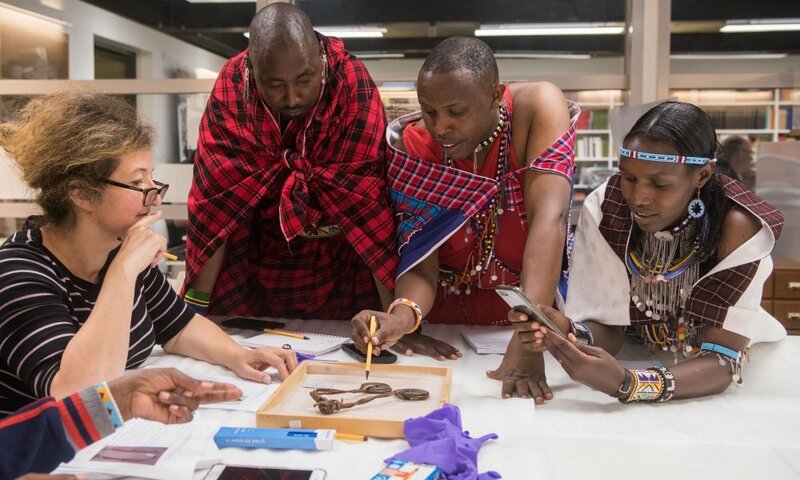 The museum is now seeking to properly understand whether those objects should be kept or repatriated to the Maasai community. Importantly, they have opened the conversation and committed to viewing the Maasai as a living culture, something which Nangiria admits is long overdue. 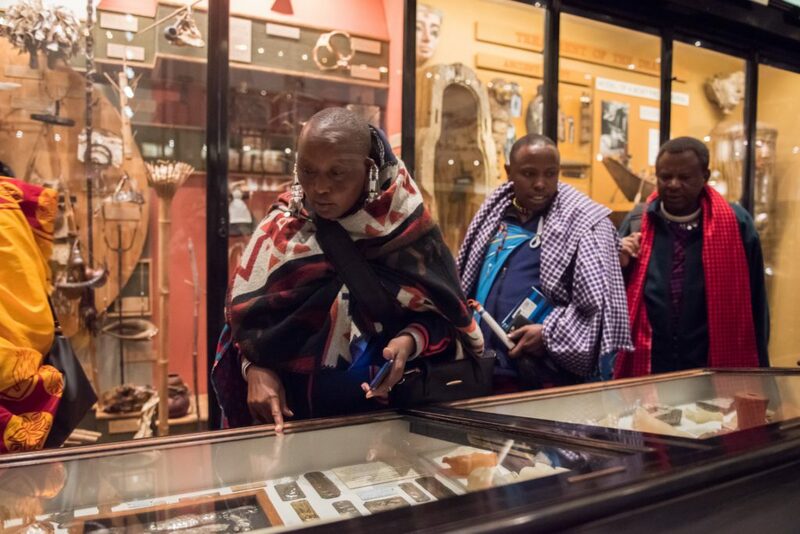 Maasai delegation at the Pitt Rivers Museum. Image by John Cairns, via Insightshare.